From cupcake bars to dressing up dessert, DIY cupcake wrappers are a cinch to make and a great way to add a personal touch to any occasion. Cupcakes have made their way back onto the dessert table in a major way. Whether they're displayed in ornate cupcake stands or singled out in individual holders, many people are even opting to skip cake altogether in favor of dessert bars with cupcakes as the main attraction. One way to make your cupcakes stand out is by decorating them in DIY wrappers. 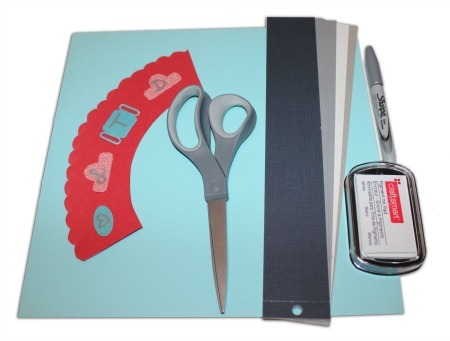 All you need are paper, scissors, glue tabs and embellishments. The first step is finding a template that fits your style. The internet is loaded with free downloads -- or you can use this template that has one straight and one scalloped version. Print out your templates, trace them on thick cardstock and cut them out. Right click and save image to print full size! Use the template to cut out wrappers with solid-colored paper, then decorate them with stamps -- like the gray wrappers (pictured) with I believe in angels stamped on them (for a christening). Or, you can embellish wrappers with stickers, cutouts or monograms. If you have a theme in mind (tea party, baby shower, birthday, etc.) choose pre-printed paper that matches your party's theme. Tip^ Scrapbooking paper is a really great choice for cupcake wrappers since there is always a huge assortment of colors to choose from. Plus, the 12 x 12-inch size means you can fit in a few extra wrappers per sheet. Once you have your wrappers cut and decorated, it's time to assemble them. Since cupcakes can vary in size, depending on whether you baked or purchased them, it's always good to wrap one of your wrappers around a cupcake before you start putting all of them together. 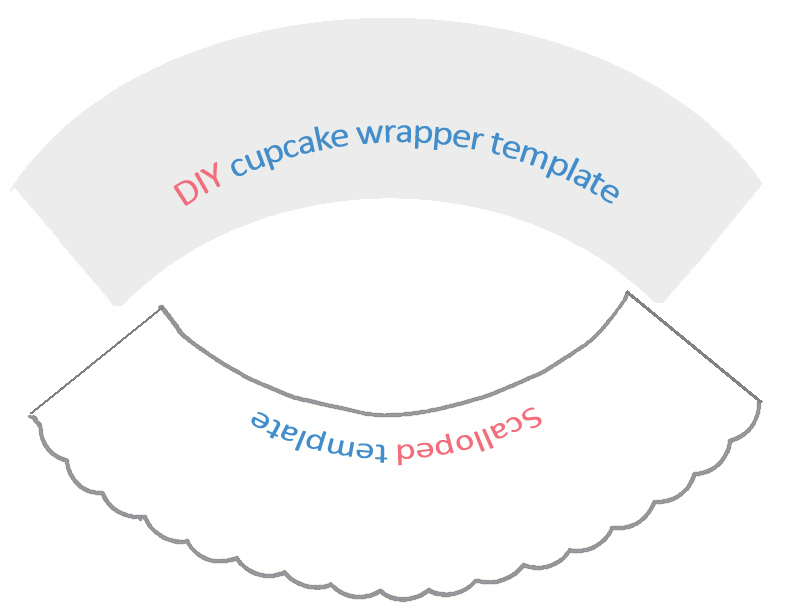 Typically you'll want to leave about 1/4 of an inch overlap when you're gluing the ends of the wrapper together, but you can always adjust that based on your test cupcake. Once you know how much space you need, layout your already-cut wrappers and bond the ends together using glue dots (Scrapbook.com, $5). Then, just stand your cupcake wrappers up (with the widest opening on top) and drop your cupcakes in!